WEBSTER CITY, Iowa (Aug. 9) – Joel Rust had the greatest seat for the best race in the house for most of 25 laps Tuesday night at Hamilton County Speedway. Little did he know, a short time later it would lead the Xtreme Motor Sports IMCA Modified driver to a victory lane celebration as the winner of the Harris Clash. Rust, who started inside of row two, chased front row starters Chris Abelson and Kelly Shryock for all but three-quarters of a lap in the 25th annual event. Contact between the front-runners allowed Rust to escape to the first Harris Clash win of his career. While the former Clash winners engaged in a battle for the lead, Rust cut a half-straightaway deficit into just a couple car-lengths in the waning laps. Contact between Abelson and Shryock forced Abelson into a spin in the middle of turns one and two just after the field had taken the white flag. Shryock slowed after the contact while Rust slipped between them and emerged down the back stretch as the leader. 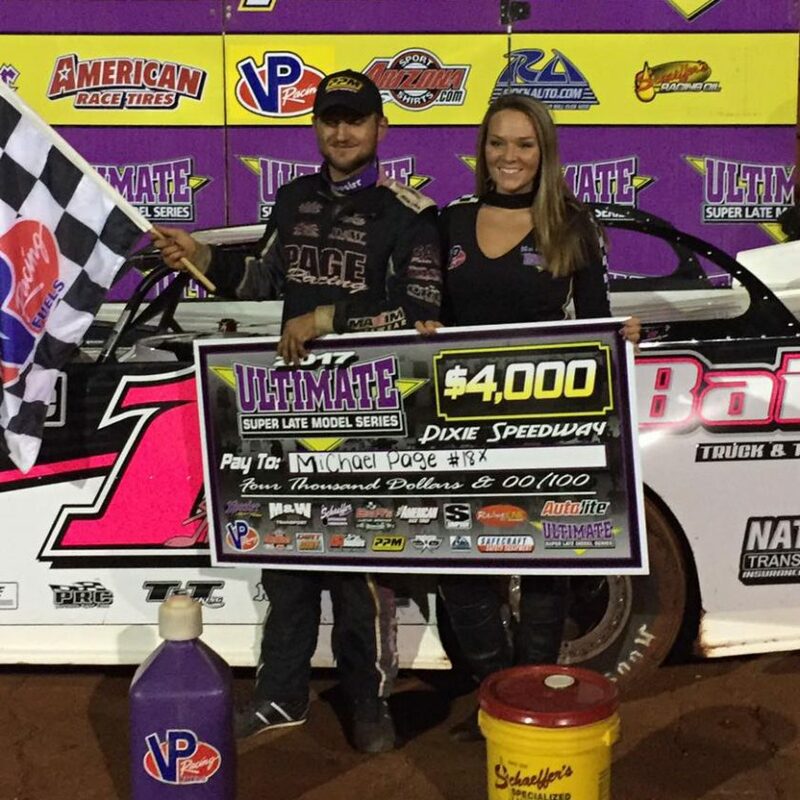 He led the final half lap on his way to victory and a $2,000 payday. “I was really close to them and kind of stayed back enough in case something happened,” continued the latest qualifier on the 2017 Fast Shafts All-Star Invitational ballot. Abelson drew the pole position and was challenged throughout by Ricky Thornton Jr., who led a pair of laps in the middle of the 10-lapper. Abelson ran the top side past Thornton to regain the lead on the sixth circuit on his way to the $500 victory. Adam Armstrong made it look easy in the 20-lap feature for the Karl Chevrolet Northern SportMods. From his outside front row start, Armstrong assumed the lead at the drop of the green and quickly pulled away from traffic. Armstrong’s lead was already most of a straightaway when the race’s lone caution slowed action on lap seven. On the restart, Armstrong again set sail while Jake Sachau, who restarted fifth, swept to the outside and settled into second by the time the field exited turn two. Although Sachau pulled away from the rest of the field, Armstrong continued to build his lead. Armstrong maintained a comfortable advantage by the time he entered slower traffic with two to go. He raced to the victory, picking up the $1,000 winner’s share and leading all 20 laps in the process. Sachau earned runner-up honors ahead of regular season Hamilton County track champion Ty Griffith. 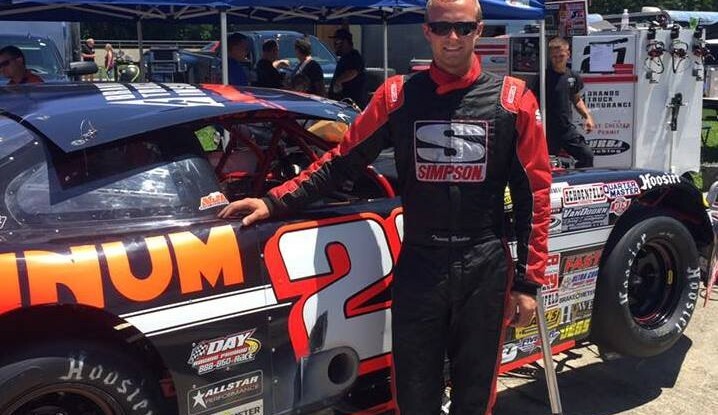 Brett Lowry raced from a B feature and 13th starting spot to finish fourth ahead of Nick Meyer. A field of 66 Modifieds and 51 Northern SportMods were on-hand Tuesday night, the second of six consecutive nights of racing during Iowa Modified Speedweek. Action continues Wednesday night, Aug. 10 at Buena Vista Raceway in Alta for the finale of the 2016 Hawkeye Dirt Tour. Wednesday’s Modified winner at BVR earns $1,000 and national, regional, state and local track points will be given. Pit gates open at 5 p.m. and the grandstand opens at 5:30 p.m. Hot laps are at 6:45 p.m. with racing to follow. Admission to the grandstand is $12 for adults, $8 for seniors and veterans with ID, and kids 12 and under are $2 or free with the donation of a non-perishable food item for the local food bank. Pit passes are $25. IMCA Sunoco Stock Cars, Karl Chevrolet Northern SportMods, IMCA Sunoco Hobby Stocks and Mach-1 Sport Compacts complete the program. More information is available by calling 712 267-3278 and at the www.buenavistaraceway.com website. The final three events of the six-day Hawkeye state swing will be held at Hancock County Speedway Aug. 11-13 for the Night of 1,000 Stars, Night of 10,000 Stars and Night of All Stars. 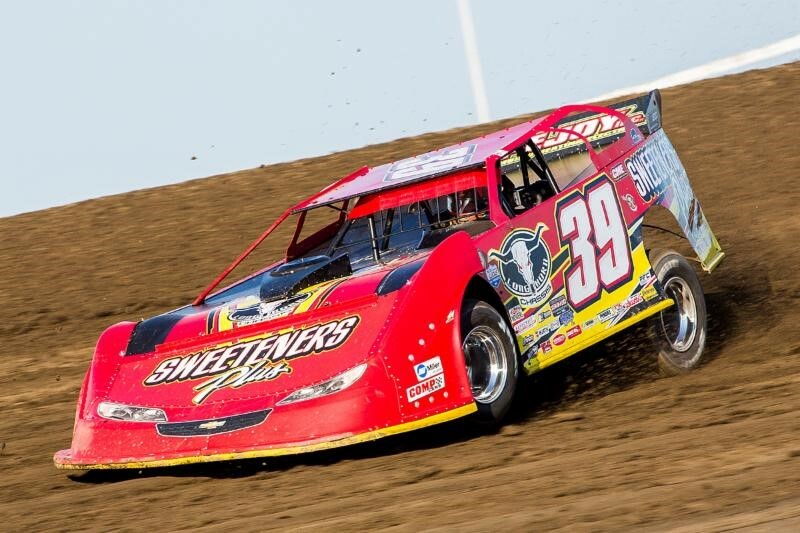 All Iowa Modified Speedweek events are broadcast by IMCA.TV. Third heat – 1. Armstrong; 2. Caudle; 3. Laudenschlager; 4. Logue; 5. VanDeest; 6. McBirnie; 7. Sam Wieben, Dysart; 8. Tim Plummer, Norway; 9. Rick Rohr, Beatrice, Neb.